Showdown Saloon Slot Review & RTP - 2018 Microgaming Slots - Yes/No? 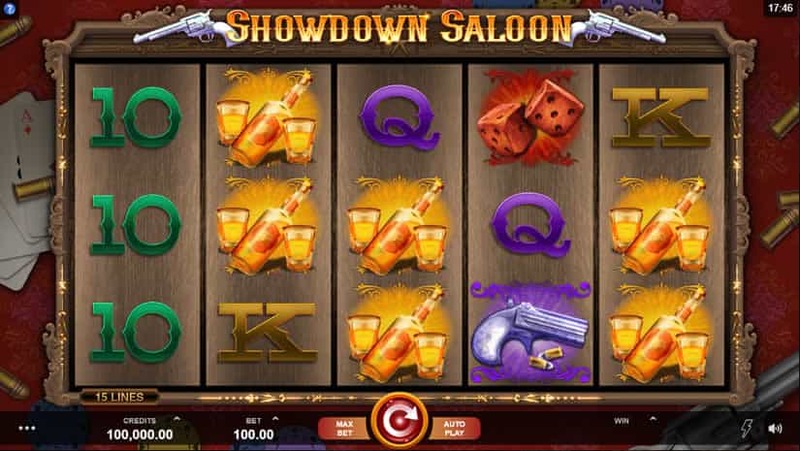 The Showdown Saloon slot has come to us as a design from Fortune Factory Studios released through Microgaming. As the name clearly gives away, this an old western themed slot. There is nothing overly spectacular about the design elements of Showdown Saloon, but the symbols are big and bold, easy to see on any size screen, and most certainly fit well with the game’s overall theme. Showdown Saloon is a five-reel, three-row slot where all bets are spread across 15 fixed pay lines. There are four high paying symbols on the reels, plus a wild symbol. The highest paying symbol is a Derringer pistol that pays seven times your total bet for five of a kind. The three other high-pay symbols are a stack of poker chips, a bottle of whiskey with glasses, and a hot pair of dice. Low-paying symbols are represented by the playing card values ten through ace. The smallest award is 20% of your overall bet for landing three tens. There are two special symbols on the reels as well. The wild symbol, of course, helps you make winning combinations with other symbols, but if you manage to get five wild symbols on a pay line, you’ll be rewarded handsomely with 100 times your overall bet. There are also free spin symbols that grant a small monetary reward plus up to 15 free spins. Wagering on the Showdown Saloon slot is probably a bit more complicated than it really needs to be. The game gives players the option of setting the coin value, which can go from £.01 up to £.50, and the number of coins to bet per line, which can be any number between one and ten. What makes no sense, however, is that your overall bet is played as one coin on 20 lines instead of one coin on the 15 lines that actually exist. So if you bet the minimum of one coin with a value of £.01, your overall bet is going to be £.20 and not £.15 as you would expect. So, regardless of why the betting calculations were set up the way they are, the minimum overall bet per spin on Showdown Saloon is £.20 and the maximum is £100. There is nothing too over-the-top about this Microgaming slot, but it most certainly does have a very solid design that makes it enjoyable to play on both visual and gameplay mechanics levels. It should be entertaining to both new and veteran slot machine players. Showdown Saloon appears to be a low volatility slot that will pay off in small amounts pretty often. There are, however, generous rewards to be won as well, with a maximum payout of 1500 times your bet. This video slot features a 96.15% return to player (RTP) rate, which is right in line with what we’d expect on a modern slot, and gives players good value for their wagers placed. You can find the Showdown Saloon slot at most UK online casinos, that usually cater to most Eurpean players. The presence of 15 pay lines on this slot but having your total bet divided up into 20 coins makes no sense. Since all wins are calculated based on the line bet, the player is effectively playing five lines on every spin where he can not possibly win. This seems like a thinly veiled rip-off. As mentioned above, the overall design of this game is solid, but the theme cries out for some features with a bit more action or animation. Can you think of a film that had cowboys, guns, booze, and gambling where not a single shot was fired? Me neither. A little bit more creativity could have pushed this slot well past its competition. With low volatility and a lot of wins being paid, most wins are less than your overall bet. This can give the feeling that your bankroll is just slowly dwindling away rather than triggering any sort of excitement from winning. In addition to wild symbols, the Showdown Saloon slot has three bonus features designed to add some excitement to the mix and boost your potential rewards. There are mystery stacks on the reels, a respin feature, and everybody’s favourite, free spins. Mystery stacks can appear both in the base game and during free spins. A single symbol will replace the stacks on each reel. During regular spins, the same symbol will replace mystery stacks on the two leftmost reels while on other reels they can be replaced by other symbols. During free spins, all mystery stacks are replaced with the same symbol. It’s also possible that during regular spins the mystery stacks will be replaced with free spin symbols. The respin feature will trigger when you land two or more full stacks of symbols starting on the first reel. When this happens, the matching symbols stay locked in place while either reels spin. If another stack lands, another respin will occur until no more matches are made or all reels match. During respins, all mystery stack symbols will also change to match the symbol that triggered the respin. Wins are paid after each spin during respins, so it’s possible for prize amounts to stack up very quickly when this feature activates. Free spin symbols appear stacked on the reels and the player will be awarded free spins by matching up three or more stacks (not symbols). Landing two or more free spin symbols will also trigger respins, just like any other symbol. At the end of any respins, the total number of free spin stacks will be counted to determine how many spins are awarded. Three, four, or five stacks will award 5, 10, or 15 free spins respectively. As mentioned previously, you can find the Showdown Saloon slot at most European online casinos (powered by Microgaming). 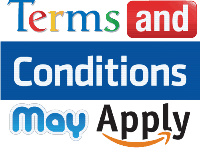 Please feel free to visit our section with online casinos in your country for top rated gambling venues available to you. Sadly, Australian casinos nor USA online casinos offer slots from this software company. Astro Legends slot (yes, two legends in a row! ).